When I was a little girl, I pined over my only portal into the fashion world: the glossy pages of magazines. If you had told me that one day, I would have direct access to the crazy world of fashion from a tiny phone screen, I would have brushed it off as something from The Matrix. I grew up in what is now referred to as the “traditional” fashion era, and I was obsessed with all things fashion. Those magazines were my bible, and I acted on just about every word. At the time, I had a sense that I was far removed from the glamorous world of fashion, but I did not understand the extent to which trends were decided for me. Industry gatekeepers—like buyers for major retailers and magazine editors—kept fashion exclusive. They had their kingdom of trend-happy consumers under tight control. Fashion Weeks consisted of runway shows where high-profile editors and endorsed celebrities sat in the front row, and the chosen pieces from designer collections would not be seen in stores for another four to six months. This model worked well for some time, but the rise of social media has diversified the power of fashion in many ways. The magazine editors and buyers still hold powerful influence, but the equation has expanded to include the voice of the average consumer. Consumers are smarter than ever because of the variety of products to choose from, the constant evolution of technology and the all-access mindset of social media. As they say, knowledge is power. Today’s landscape of fashion is changing dramatically, and the average consumer is becoming more and more empowered. If a new designer collection is on the runway, you can watch the fashion show from your couch with livestreaming platforms like Instagram, Facebook and YouTube. Designers recognize the purchasing power that consumers hold, and today, that buying power means more than that of the traditional industry gatekeepers. If you see a blogger wearing an outfit you love on Instagram, you can find and purchase the items right from your phone and have them delivered to your door thanks to shoppable applications that integrate with social media, like rewardStyle, ShopStyle and LIKEtoKNOW.it. In fact, what bloggers are wearing on Instagram and other social media outlets has created such an impact on the way that consumers shop that retailers have reached out to them for content collaborations. For instance, blogger Jacie Duprey of Damsel in Dior is an ambassador for Old Navy, mixing its affordable options with her own designer style to create one-of-a-kind looks. Some bloggers have even had the chance to create collections of their own. Julie Sariana of Sincerely Jules has been designing her own shop, Shop Sincerely Jules, since 2012. Thanks to its popularity, it was picked up by Nordstrom in July 2016. 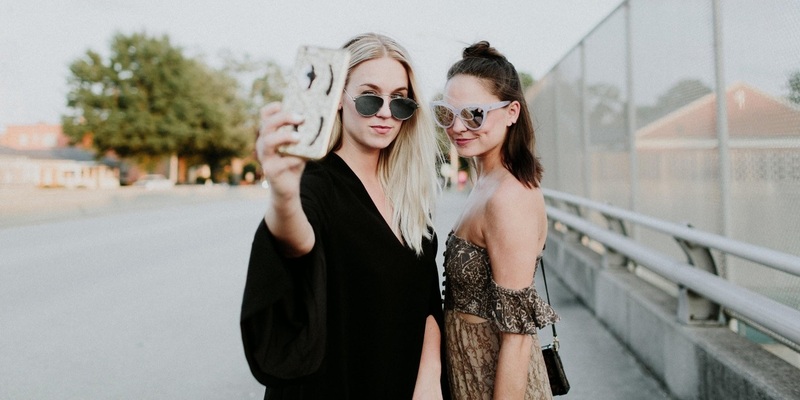 The demand for the fashion opinion of consumers and consumers—who are often referred to as fashion influencers—on social media and in the fashion landscape is stronger than ever. Social media has also lifted the veil for consumers of the innermost workings of the fashion world in an interactive way that a magazine page never could—and the all-access pass from social media couldn’t be more intriguing. Fashion designers have adapted to the almost-insatiable shopping appetite of their consumers by creating a strong presence on social media, including revealing collections in real-time (as opposed to the six-month lag time I mentioned before). The idea of deterring consumers from fast fashion retailers—a.k.a. fashion copycats—has become more rampant than ever. With a desire to protect their collections from cheaper copycats while still satisfying their customer, the “see now, buy now” direct-to-consumer fashion model has evolved on social media and on the internet.